Pakistan's Army Chief General Ashfaq Pervez Kayani has said that Pakistan Army will continue to work to end terrorism from Pakistan and Army Action in Fata will continue until the Situation becomes normal. He said this while addressing with Army officers in Karachi Cantt on Tuesday. According to ISPR General Kayani also said in his address that Pakistan Army is ready to give any Sacrifice for the protection of Pakistan. 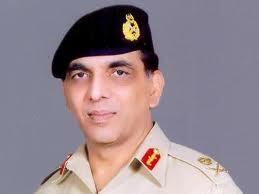 General Kayani became Army Chief of Pakistan at a crucial time when former President Pervez Musharraf was retired in 2007. During Musharraf's time Pakistan Army's Popularity was gone down but Kayani was successful in bringing back this Popularity and successful operations of Swat and South Waziristan where also done under him.